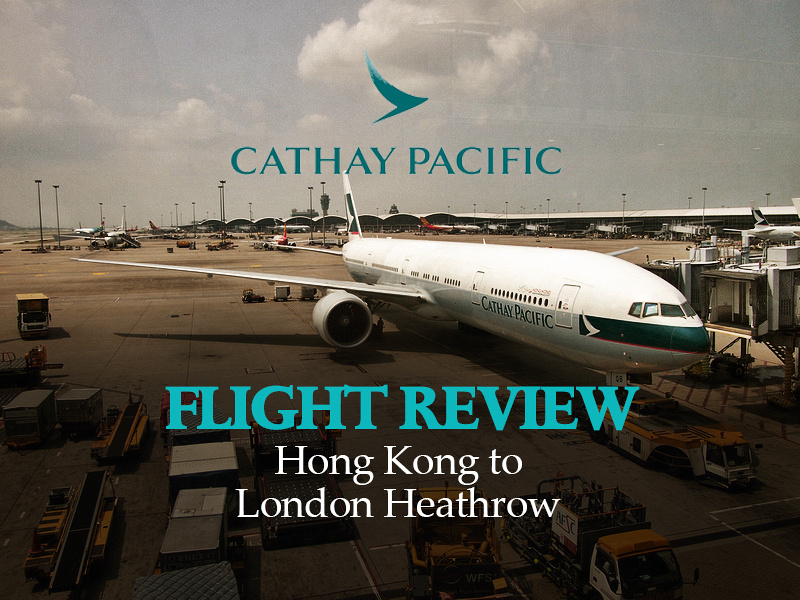 I flew with Cathay Pacific from Hong Kong to London using Qantas frequent flyer points. 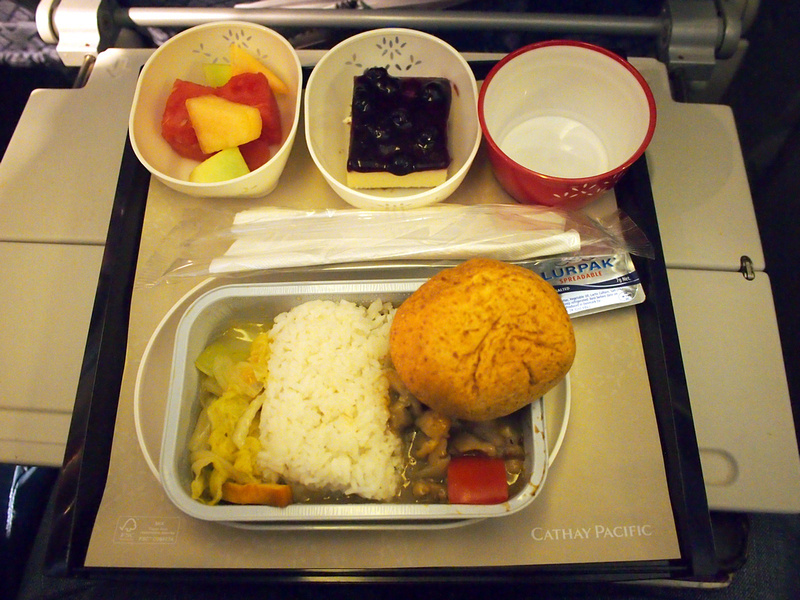 I booked with Cathay as I was able to book a flight from Taipei to London, via Hong Kong. I was able to get a stop over in Hong Kong without any additional points. I choose to go via Hong Kong as Cathay have less fuel surcharges than British Airways (if I have of selected them as the Oneworld Partner booking). Plus I like flying with Cathay anyway, so that and an excuse to revisit HK was enough for me. I earned most of those points through flying as there aren’t many credit card options for Australians. If you are in the US then check out Johnny Jet’s credit card reward guides to earn some relatively easy points. 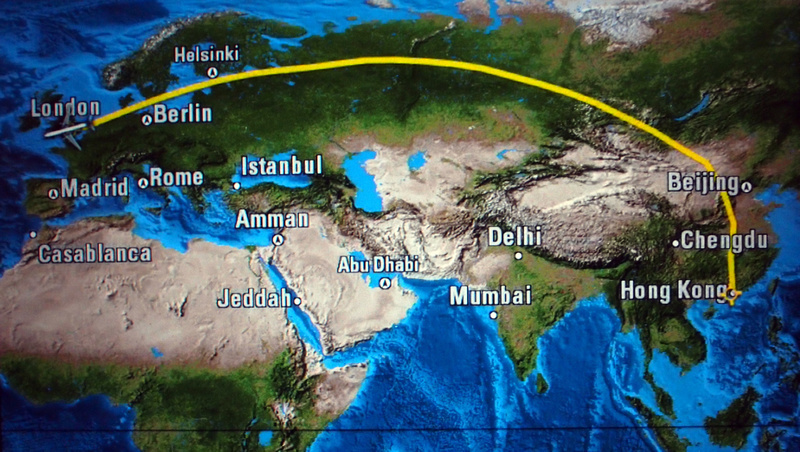 Hong Kong to London is a 12 hour flight and in terms of timing this flight is as good as it gets. Flight leaves at 12:25pm and arrives at 6:10pm, so by the time you arrive at your London destination it is just about time for bed. I like this flight timing as I can’t sleep on flights. 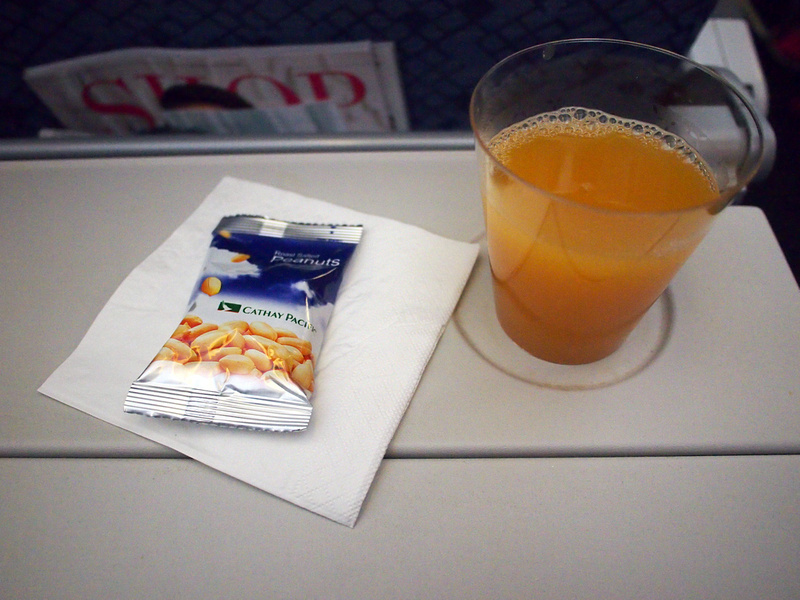 I usually end up watching movies for most of the flight. In this case I watched four movies. 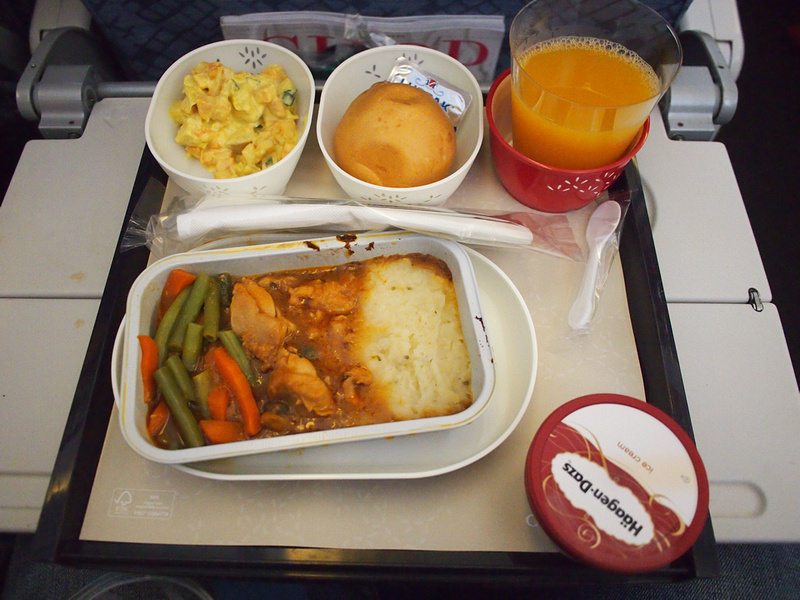 Lunch was served, which consisted of braised chicken in lemon thyme caper sauce, mashed potatoes, green beans and carrots. Ice cream was served as dessert later. For dinner I had the chicken option. The meal consisted of fresh seasonal fruit, chicken in sweet satay sauce, steamed jasmine rice and long cabbage with dried bean curd slices, and blueberry cheese cake.